The day before yesterday, Prince Hans-Adam II was on a visit to the town of Wetzlar located about 50 kilometres north of Frankfurt in the German state of Hesse. Before giving a speech about his book "The State in the Third Millenium", he also did some touristy stuff and signed the golden book of the town. The town's main attraction is the medieval cathedral combining Romanesque, Gothic and Baroque architecture. Fun fact: Construction of the cathedral, which technically isn't a cathedral at all as it never was a bishop's seat, started around 1230 but even almost 800 years later it is still not finished as the western front is still missing its northern belfry. 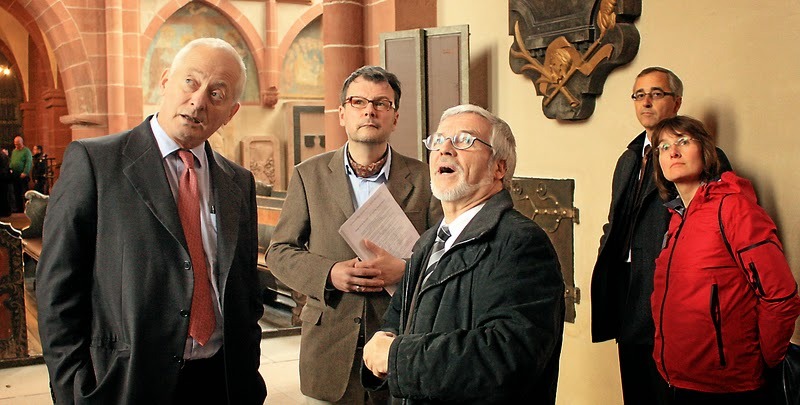 Prince Hans-Adam visited Wetzlar on the invitation of the association for promotion of culture.